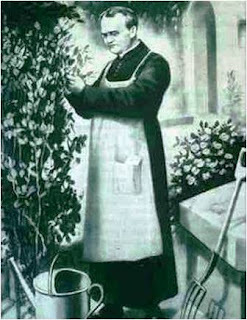 The basic principles of Genetics were uncovered by an Austrian priest, Gregor Johann Mendel. His experiments consisted of crossing and selfing of the experimental material, Pisum sativum (Garden Pea). The experimental results and generalizations (popularly known as Mendelism) were published in 1866. In 1900, Mendel’s paper was simultaneously discovered by three biologists: Hugo de Vries, Carl Correns and Eric von Tschermark. The discovery of Mendelian principles leads to the emergence of a new branch of biology known as Genetics. William Bateson (1905) gave this developing science the name genetics’. Later Johannsen coined the term gene for the hereditary unit that determines observable characters. It is a set of primary tenets that underlie much of genetics by G. Mendel In the latter part of 19 th century. He performed monohybrid and dihybrid crosses and gave three principles of inheritance. It state that when two individuals of a species, differing in a pair of contrasting characters are crossed, the form of the trait that appears in the F1 hybrid is dominant and the other form that is not expressed is recessive. In a cross between tall and dwarf garden pea plants in the F1 generation only tall plants are seen. This means that tall form is dominant over dwarf form. Exceptions to principle of dominance are incomplete dominance and codominance. A cross involving contrasting expression of one trait is referred to as mono hybrid cross. For example, in order to learn inheritance of plant height, a tall pea was crossed with dwarf one; all other traits were ignored here. From the results of monohybrid crosses Mendel developed the law of segregation. It states that hereditary patterns are determined by factors that occur in pairs in an individual but segregate from each other in the formation of gametes so that any one gamete receives one or the other of the paired factors. This principle is also known as the law of purity of gametes. (example-tall green x dwarf yellow). It states that in the inheritance of two pairs of contrasting characters, the factors of each pair of characters segregate independently of the factors of the other pair of characters. 1. Science of eugenics (development of superior progeny) is based on mendelism. 2. On the basis Mendelism, different breeds in animals and varieties of plants have been produced. 3. On the basis of Mendelism, heterosis has been utilised in different organism.